Volume Level Indicator using transistor circuit can be used as a simple VU meter, It can be used to determine sound levels and help us to avoid load sound distortion and noise. This volume level indicator circuit uses a condenser mic to receive the audio or sound and makes the LED glow according to the sound level and power. This circuit can directly detect the sound level from audio signal if the audio signal is connected directly to this circuit in the place of microphone. First Stage in this circuit is sound Receiver by condenser mic and then Q1 transistor Receives audio signal from mic and drives Q2 – Q5 transistors depends on sound level, each LED glows when the connected transistor gets signal. 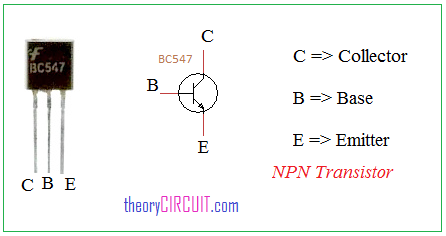 Transistor BC547 is a Active devices termed as a NPN transistor with three terminals, Collector, Base and Emitter, here this transistor drives LED depends on the volume level. Each transistor receives input at base terminal and all emitter terminals are coupled to the ground supply through resistor.